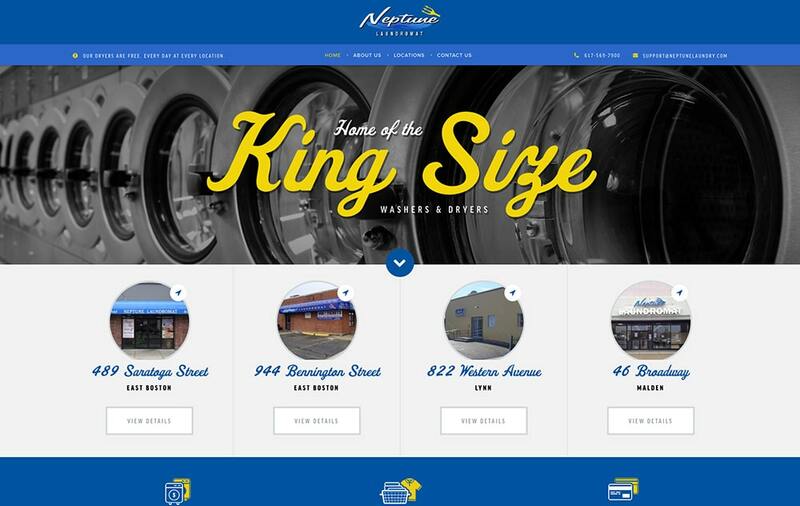 Neptune Laundromat is a full service laundromat with locations 2 locations in East Boston, 1 in Lynn and another in Malden. The chain prides themselves on having larger washer and dryers than their competitors, and their modern equipment allows for you to pay using credit and debit cards at all machines. Not to mention dryers are always free! Each location comes with free Wifi and plenty of table spaces for folding too. Neptune also does commercial accounts and even offer a Drop off, Wash, Dry, Fold service for customers on the go. GoingClear Interactive was responsible for the web design and development of the new Neptune Laundromat website. Our major focuses for this project were making sure that visitors quickly understood where the various locations were, and why Neptune is an affordable, yet modern laundromat with plenty of added conveniences. Stylistically, we wanted to stay true to the Neptune branding with blue and yellows while also tying in some fun and classy script fonts. We even went the extra mile and created some really nice water and fire icons to help illustrate statistical amenities on each of the location details pages. Plus if anything were to ever change at any location, the client has the ability to easily log in and update these graphics on their own! 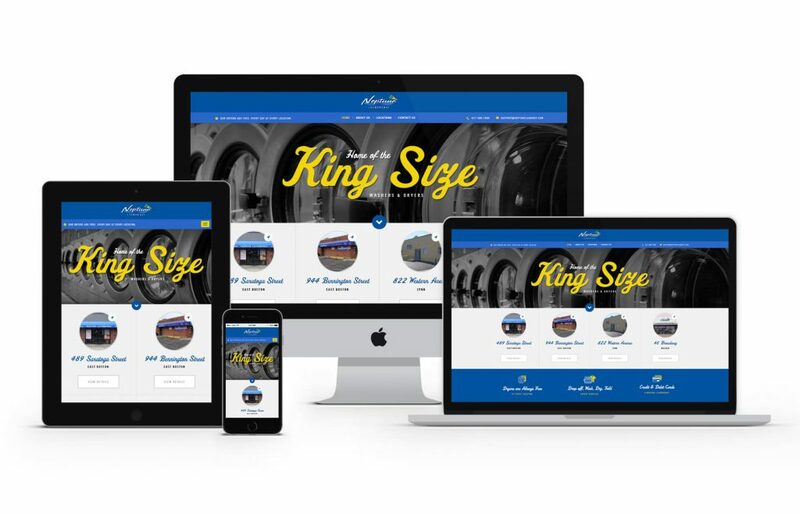 The new Neptune Laundromat website was built using WordPress as the CMS (Content Management System) along with the responsive framework Twitter Bootstrap so visitors will always have a flawless experience on any of their devices.